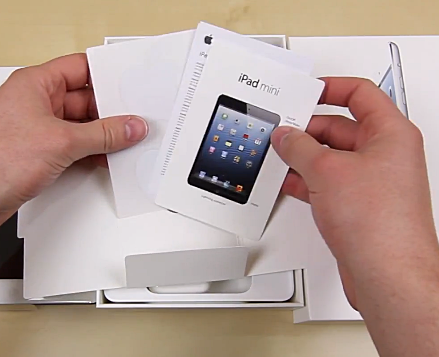 iPad Mini Tablet Unboxing, Packaging and Accessories Check! Will You Buy One? 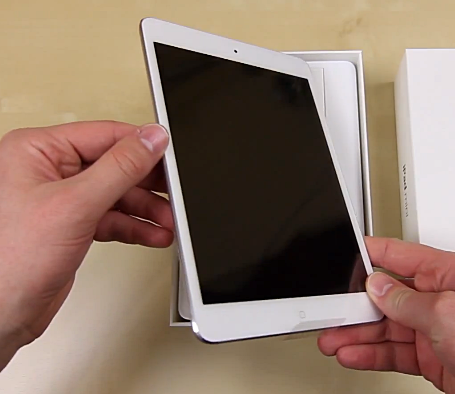 Apple iPad Mini has just officially went on sale at Apple's retail stores and select authorized resellers in the United States, Australia, Hong Kong, Singapore, Japan, France, Germany, New Zealand, Switzerland, Austria, Belgium, Bulgaria, Canada, Czech Republic, Denmark, Finland, Ireland, Italy, Germany, Hungary, Iceland, Liechtenstein, Luxembourg, Netherlands, Norway, Poland, Portugal, Puerto Rico, Romania, Slovakia, Slovenia, Spain, Korea, Sweden, and the United Kingdom. 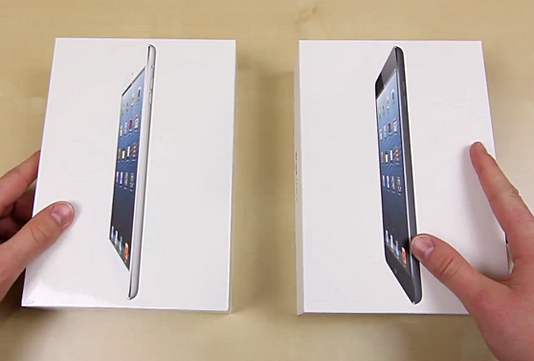 The iPad Mini is available in 'White and Silver' and 'Black and Slate'. In the US, the 16GB, 32GB, and 64GB WiFi-Only variants sell for $329, $429, and $529, respectively, while the 16GB, 32GB, and 64GB WiFi+Cellular versions go for $459, $559, and $659. To those who've been asking me about the tablet's release date in the Philippines: As of writing, neither Apple nor its local authorized retailers and product carriers has given word on it but I'm guessing that the slate should land here by Q1 2013. Now, if you don't want to wait for its formal launch and you're willing to spend a bit more if only to get the device ahead of other Pinoy Apple fans, you can always grab the iPad Mini (at your own risk) from grey market sellers, which I think will begin offering it by next week. Again, as I mentioned in TP's iPad Mini feature last October 24, I'm personally expecting the official SRP of the tablet to start at Php 18,000 here in the Philippines; Here's to hoping it would be priced a lot lower than that. 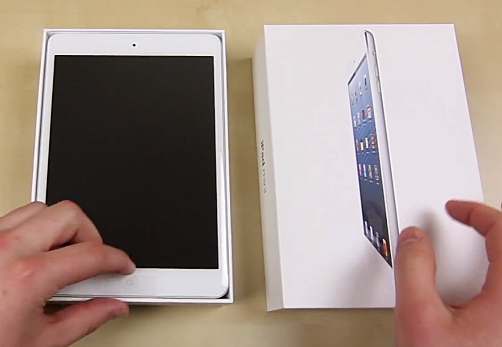 Anyway, our friends at Product Feedback in Australia finally got their pre-ordered iPad Mini units just a few hours ago. 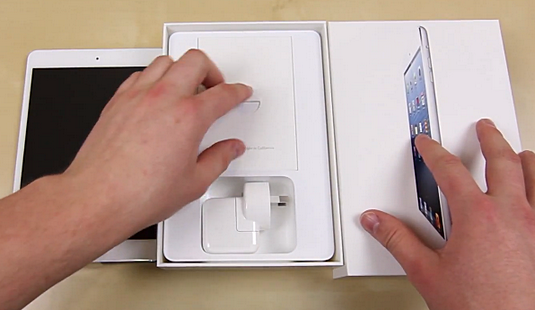 Here are a few screengrabs from their unboxing and 'what comes with the package' video. 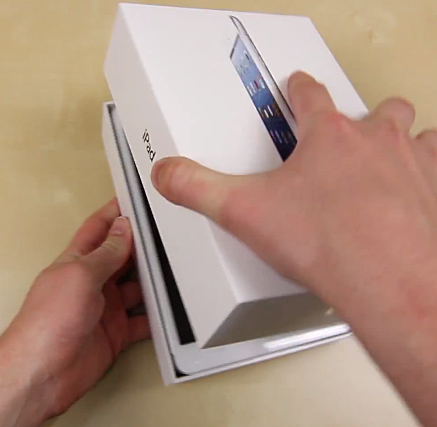 As most of us would expect, the box actually just looks like a shrunk version of the one for the New iPad. This is the 'White and Silver' unit. 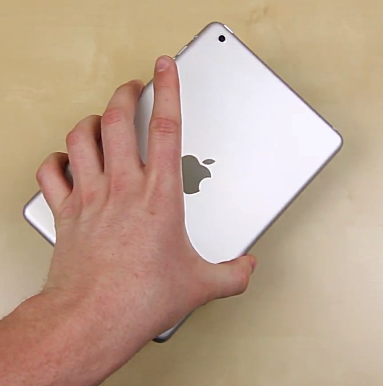 iPad Mini lacks the tapered sides of the New iPad but I think it still looks quite hot. 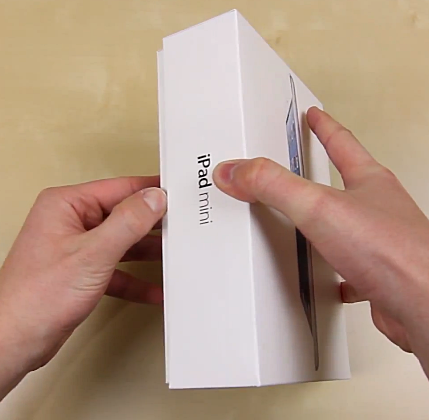 Lifting the tablet, we'll find the other stuff that are included in the package. 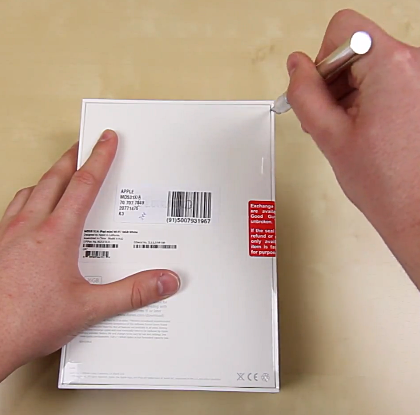 There's the iPad Mini manual, warranty card, and the two Apple stickers. 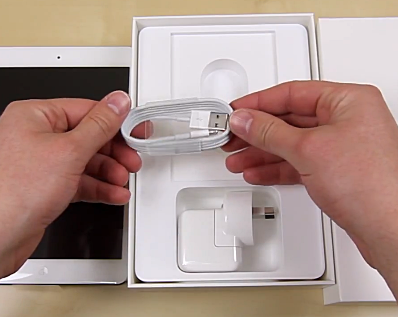 Of course, there's the charger; Theirs is kinda bulky. The Philippines, I think, will still get the one with 90-degree rotating prongs. 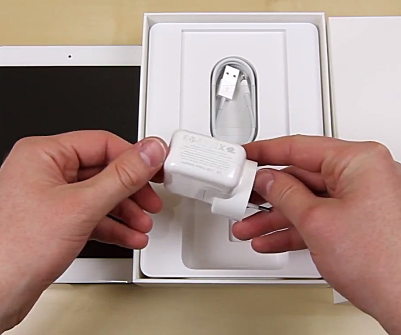 Finally, there's the Lightning port to USB connector cable. Alright, so that's the entire package. 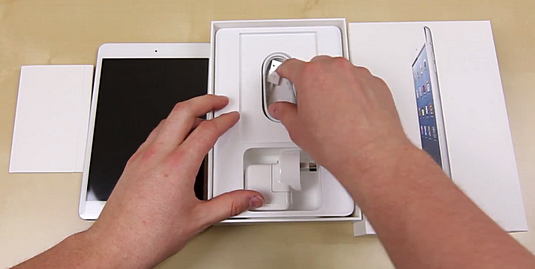 Check out how it fits in the hand. During the last quarter of 2010, just a few months before finally succumbing to the complications of pancreatic cancer, then Apple CEO Steve Jobs was quoted saying, "The reason we [will NOT] make a 7-inch tablet isn't because we don't want to hit that price point, it's because we think the screen is too small to express the software. As a software driven company we think about the software strategies first." Software strategy may have been a valid reason for not pursuing the project then but times have changed much since Apple's legendary CEO left us. For one, he didn't live to see Amazon Kindle Fire's immense success in the United States, which made the game changer in its own right. Since the day it hit store shelves, Amazon's ultra-affordable $199 7-inch slate - running an Android-derivative operating system - has went on to become the best-selling Android slate in the US and even negatively affected the sales Apple's iPad, according to one market study. Perhaps seeing that there's indeed a big room for a mini tablet in the market, Google - in partnership with Taiwanese electronics manufacturer, Asus - released the $199 Nexus 7 last July. Google describes Nexus 7, which runs the latest Android 4.1 Jelly Bean operating system, as 'a powerful new tablet' with a vibrant, 7-inch 1280 x 800 HD resolution display. Inside its textured shell, you'll find a Tegra-3 chipset, with a quad-core CPU and 12-core GPU, 'making everything including apps and games, extremely fast.' As of writing, Google has sold 3 Million units of the said device helping Asus achieve record earnings. Needless to say, right now, other companies are dominating that affordable, mini slate category. 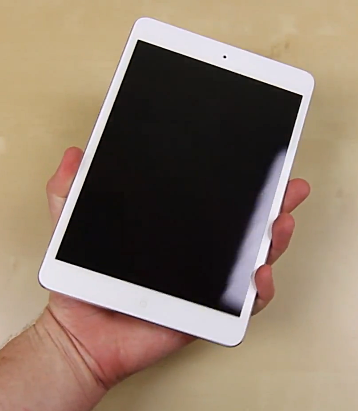 Do you that iPad Mini will be as successful as Apple's regular iPad and help the Cupertino company edge out the competition in that bracket? And more importantly, will you be getting one soon?